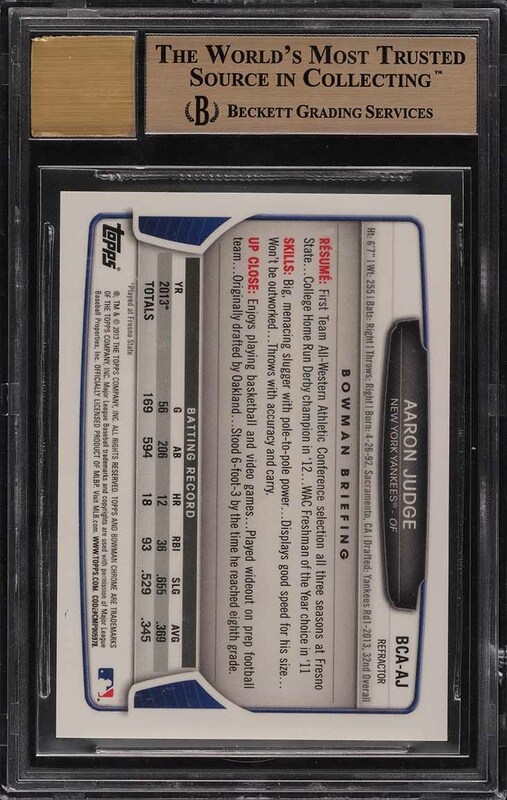 Sensational BGS 9.5 Judge rookie example up for bid this month. An immensely popular Refractor issue which is largely sought after in such high-grade. Possesses many qualities of a higher grade with perfect centering and uncirculated edges. Shows dagger corners with strong borders and a pristine autograph. 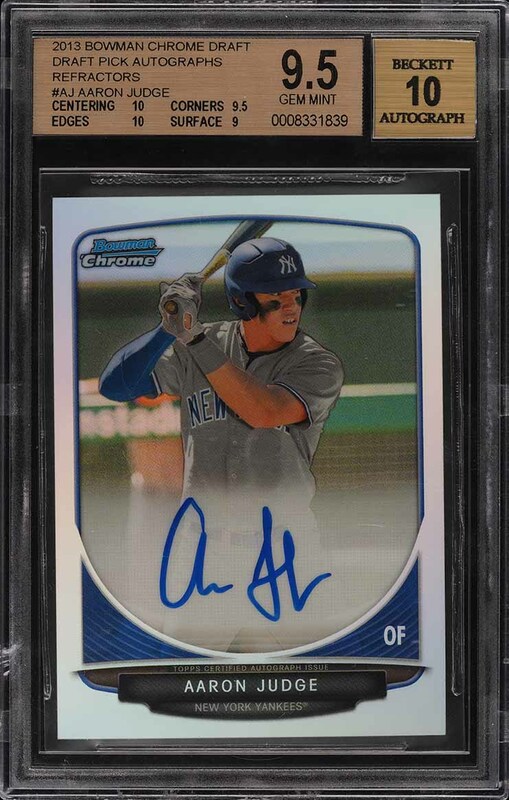 An important rookie card which is very rare to find with dual '10' subgrades. Among the MLB's and Yankees most exciting talents. One of nearly 15,000 cards, lots, and sets up for bid in our 4th Auction of 2019. Click on the link above to view the other PWCC auction lots. The PWCC Vault is now live! Open a PWCC Vault account and receive a custom Vault shipping address. Purchases shipped to the Vault receive free shipping and reflect Oregon's 0% sales tax rate.